Save the Dates ~ When Do I Send Those? There are few things to consider before I give couples a definite answer. First, if you are having a destination wedding, you will want to send your Save the Dates around 1 year to 9 months in advance. With destination weddings, if you want your guests to truly come, you need to give them time to plan. This is a vacation for your guests as well so they will need to get things in place before jumping on a plane to help you celebrate. It’s a great idea to put your wedding website on your Save the Date as well. This will allow them to gather more information on accommodations and flights. If you’re not doing a destination wedding, typically six months prior to your wedding is a great guideline. If you have a lot of people coming from out of town, you may want to bump that up a bit more to 7 or 8 months prior. Your wedding may not be a destination wedding in your eyes, but from someone who needs to travel a long way to get there, it is. 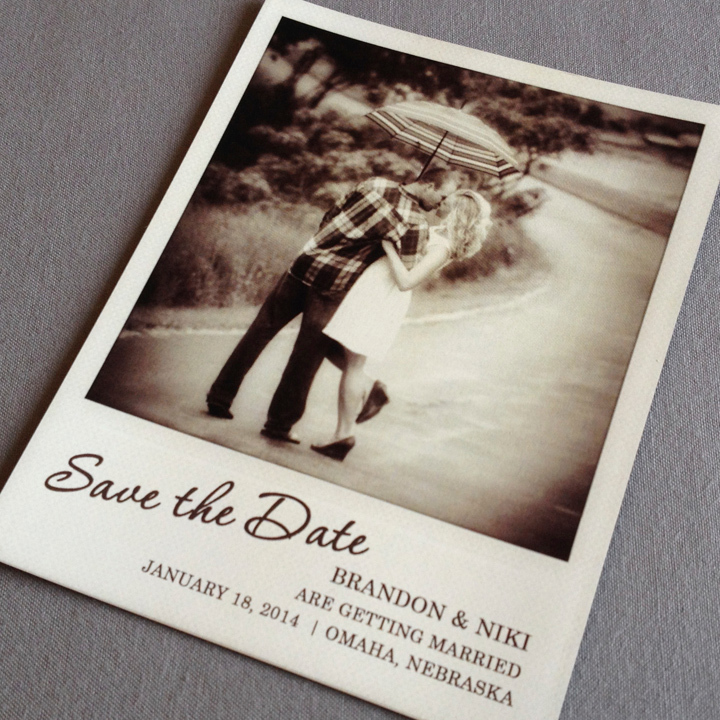 The postcard Save the Date is the most cost effective and easy. Postcards take only a postcard stamp to send, which is less than a regular stamp. Check here for current stamp prices. Postcards are 4.25″x6″ in size (max for postcard stamps) and are printed on the front and back, allowing for some fun designs or photos. The downside to postcards is that they get a bit beat up in their journey through the USPS. Postcards can also get lost being stuck inside magazines or newspapers, but that can happen with any piece of mail. The card with envelope is just like a postcard, but it gives your card a nice carrying case to be delivered to your guests without the worry of what the USPS will do to it. The envelope also allows you to print on the back side of the Save the Date and not have to save room for your guests’ addresses. The Save the Date with envelope is the middle of the road price wise as because of the envelope, you’re paying a bit more than the postcard. Magnets are a popular and fun way to send your Save the Date. Magnets can be any size, from a business card size to 5″x7″. Guests receive your Save the Date and can stick them right on their fridge, so they can see it every day. Magnets a one sided print and come with an envelope to mail it in. Magnets are super popular, but the cost comes with it too. 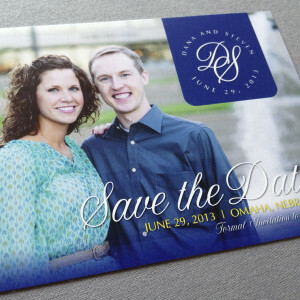 Check out pricing for Save the Date Magnets from dSy invitations. Save the Dates are fun and popular. If you’re considering Save the Dates, contact us and we’ll help you create something perfect to announce your wedding!